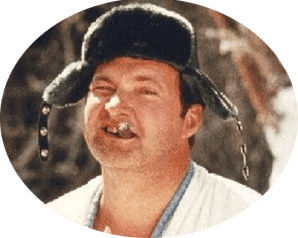 Uncle Fred – We love you, but you’re staying in the shed over the holidays! When guests visit for the holiday, many families like to stay nearby, but sometimes a little closeness can be overwhelming during the holidays. 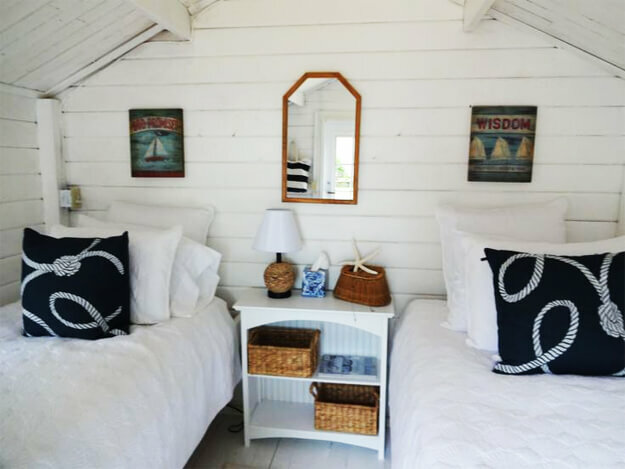 Converting your shed into a guest house can be just the answer for many. It also might get that crazy Aunt or Uncle out of the house! 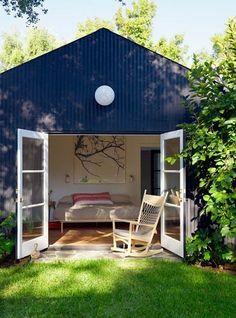 Get started turning your backyard shed into a guest house by prioritizing your guests needs and what you can afford to do. Do you want to make up the shed with just a bed and some warmth so people will have a place to sleep? 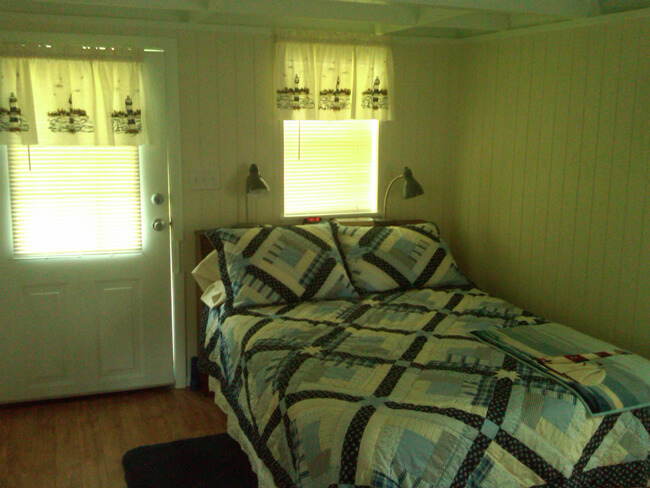 Do you want to make your shed a full service vacation stay, with full amenities? How many people will your shed accommodate? These are all questions that should be answered before you start in on your project. Once you’ve decided if you’re going to add electrical or plumbing and any outside additions, you’ll need to check with your city’s building department to see if you need any permits. You may also need to check with the county. If you have an HOA, check with them, as well. Most likely you will have chosen to install electricity, at the very least. It’s a pretty basic necessity for most people in the evening, unless you happen to have a family who loves to camp or has natural night vision. These days, with laptops and charging stations, your guests are sure to want a place to plug in. Make sure you install enough electrical outlets for the amount of guests you’ll typically have in the guest house. Don’t forget to make sure your wi-fi reaches all the way out there, as well. Windows are an absolute necessity for your guest house. If your shed isn’t already outfitted with at least one window, you’ll need to install one, but ideally, at least two. Two windows across from each other will create extra light and additional airflow. A converted shed from the www.diynetwork.com/home-improvement/an-attic-and-a-shed-are-converted-to-great-living-spaces/pictures/index.html – DIY Network. Speaking of airflow, with an additional window, you’ll be able to install a window A/C unit for the summertime, so your guests can be comfy. Since it’s wintertime right now, you’ll use at least one of those electrical outlets for a space heater. Make sure it is used safely. Plumbing and insulation up next as bonuses, but depending on climate, insulation may not be a necessity. 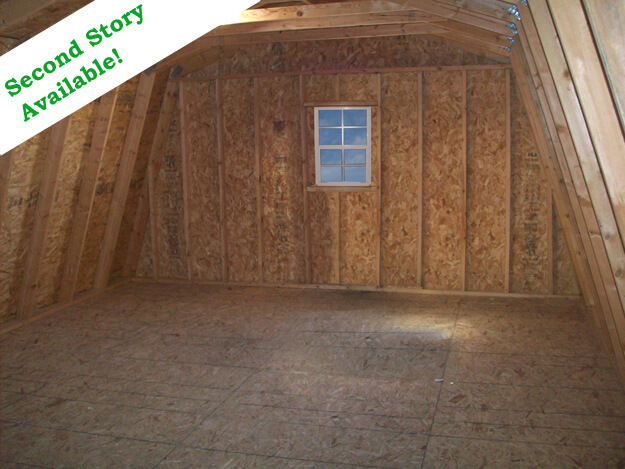 Insulation can be easy to add if you have a pre-made shed. 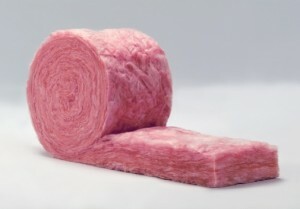 Blown insulation will do the trick and make your job much simpler. Some sheds have open framing. This can also make insulation installation simple. Install your insulation and then put up some drywall to finish up the job. 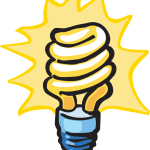 If you plan on insulating, make sure you install your plumbing pipes before you insulate. If you are planning on installing a toilet or sink, make sure you plan this out carefully, depending on sleeping arrangements and food storage. For toilets, there are a variety of options. You can use something as simple as a portable toilet or something a little more stable like a pre-fab toilet for a motor home. Many guests may appreciate something for food storage and even a little bit of cooking. It can be easy to set up a small refrigerator– or a large one, for extra use for yourself. Adding a microwave or a hotplate might be helpful to your guests, depending on how long they are staying. Once you’ve done all the basics, make sure that you make your guest house feel warm and inviting. Put in the bed or beds and if you have room, put a small couch or some soft chairs and maybe a lamp or two, in the living space. A nice rug and some artwork on the walls will spruce it up. A nice paint job will really tie the room together. And if you can, put up some amenities like a television, And voila! You are the owner of a guest house. Just hope that it’s not too comfortable that they overstay their welcome! Getting the right shed for a guest house is part of the challenge. We can help with that. We offer a selection of garage buildings that would be ideal as a guest house. Why not upgrade the Everest with a second story? 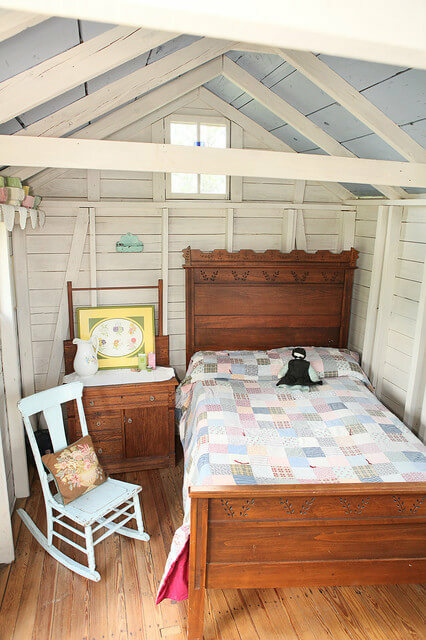 With a little customization, you can make your shed feel like home. 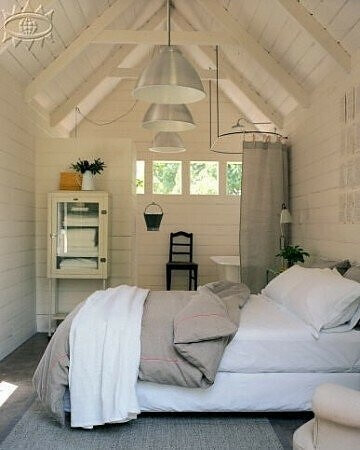 Which Sheds Make the Best Guest Houses? The 12×12 Arlington gable style shed is big enough to comfortable fit a bed and belongings while still fitting in a smaller backyard. All our sheds have rot and pest resistant siding and are constructed from strong 2x4s. 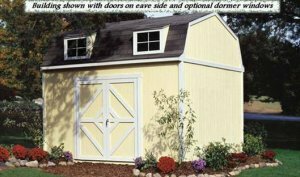 The 12×16 Hartford gambrel style shed includes 25-year shingles, rot resistant siding, and extra-wide steel reinforced doors. The gambrel style roof allows for a high peak point making your guest space look bigger. 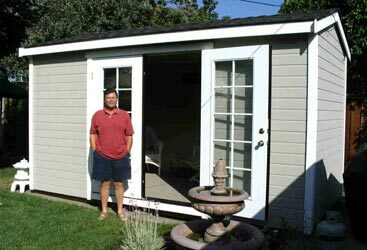 The biggest option, 16×20 Aspen, turns your shed into a fully functioning living space. 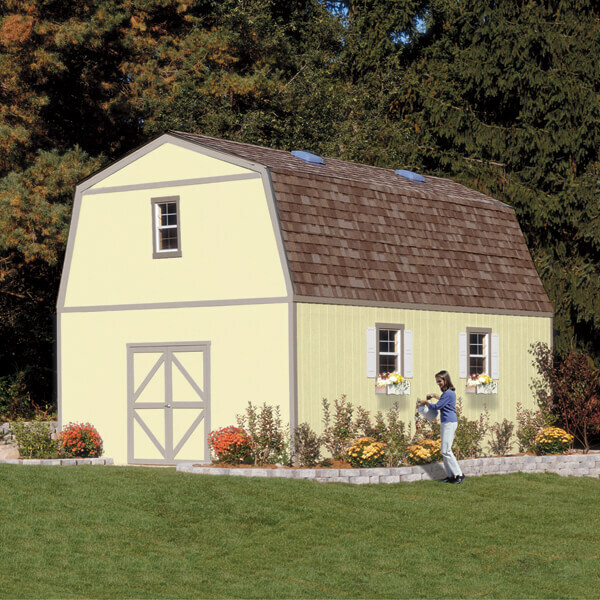 With this shed, you are able to fit all the necessities needed for converting a shed into a comfortable guest house. 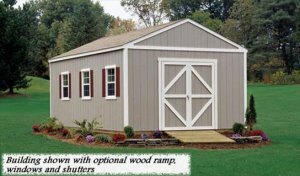 The Aspen comes with all the quality aspects found in Backyard Building sheds like rot resistant wood and extra-wide steel reinforced doors. That is great to hear Francena. What kind of questions do you have on our garage buildings. We have the second story upgrade available and many more options. 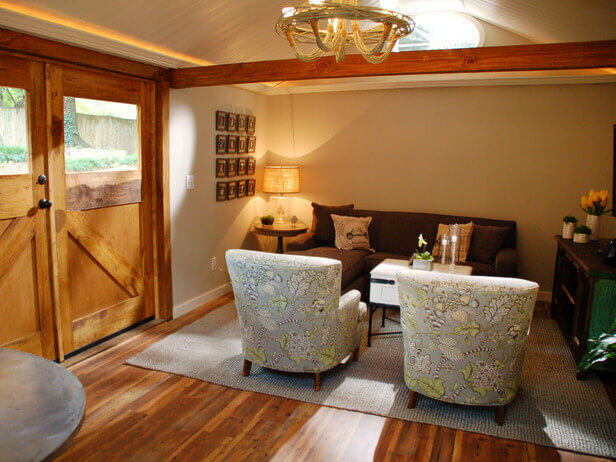 Feel free to give us a call at 855.853.8558 if you would like to learn more about our barn style garage buildings. Have a great day! How did you do the plumbing? I’m looking for cheap inexpensive ways to go about it. in to s nice tiny cozy fullg loaded,plummbinb plummed etc. & i should be able to have $50,000 to do so within the next 2years. I know its early and im not ready just yet but i would like to have an idea. Thanks! Thank you for visiting our blog. That sounds like you could have some fun with this project. You can get our 16×24 Everest with a second story with stairs for $10,498.00. Now that would give you a strong wooden shell for your building with a second story. That would give you about $39,500 left to spend on plumbing, insulation and anything else your heart desires to make it a living space. We can install your building as well, so you would only have to worry about customizing it to make it your own. Whenever you’re ready to get started, feel free to give us a call at 855-853-8558. Looking for toilet info for use in a shed with electric and no plumbing or sewer, possibly chemical, incinerating or mobile home type. Have this info?? Our sheds are pre-manufactured in our plant. While we do offer a variety of decorative and functional accessories, we do not offer plumbing services. We can certainly provide you with a shed, but making those kind of customizations would void the warranty. If you would like more information regarding our sheds, feel free to give us a call at 855.853.8558. Have a wonderful day! Existing shed room for 3 cars inside on 1st floor, and has 3 separate rooms with windows and heat I believe on second floor and also stairs. No plumbing or sewer, also 20 feet from a public field owned by town for sporting events so outdoor chemical toilet with liquid chemicals would produce too much odor for regular use, possible incinerating toilet, powdered chemical toilet, or other toilet not permanently installed to avoid a permit. 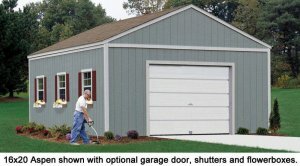 I want to convert my shed to a guest room with a 3/4 bath. The shed is about 306 sq. Ft. the bathroom will be about 36 square feet (unless I can go smaller on a 3/4 bath?) so I’ll have about 270 square feet of room to occupy. If I do the insulation, walls, ceiling and flooring myself and hire a plumber for about $4k-$5k to add plumbing for the bathroom, how do I ensure that my work and that the finished product are up to code so that when I sell this house I can list it with an additional 1 bed and 1 bath? I’m concerned that I would spend some good money on this project only to ins out later I can’t list my house with that addition square footage. Before getting too far involved with this project, I would call you local building inspector. They can tell you for sure if your building is up to code. Good Luck! I noticed that you said “adding plumbing would void warranty”. And “(prefab) buildings come with warranties” and you wrote an article showing how useful prefab buildings are for guest houses. So you encourage the modifications that could void the warranty? You need to be more clear in the article that some mods can void warranties. This is a potential con. for seattle area couldn’t it be retrofitted to meet code? While we offer a 2 story building, it also is built with 2×4 construction, so we can’t help you directly. Try visiting StudioShed.com. They offer so radical building designs and are customizable… Good luck! Does the shed need a permit? Thank you for visiting our blog. Each county’s building codes varies, so we have no way of telling you if you need a shed permit. Try calling your local HOA to see if you need a permit for your shed in your area. Good luck! Just landed on this blog, while looking for ideas on how to create a “granny unit” for my mother when we move to Washington. Totally new to all of this, but looking to find something or convert something to make a livable in law unit for my mother in our backyard?? Just wanting information, advice, and ideas from you guys the experts! Any possibility of making it all one story for when she ages? Would need just a small kitchen/living space, with a small bathroom and a bedroom area?? Would love to hear from you on what you guys think is best! Also obviously would need to be well insulated for cold winters and hot summers. Thanks!! Also forgot to mention.. most affordable as well since we would be moving from out of state, so on a budget of sorts. Just ideas of pricing and such if possible?? No clue where to even start. Thanks! My husband & I purchased 14.26 acres in an Undeveloped area in upper Northern AZ and purchased a Weatherking – we had built to our specs, and had it put on our land. The local Building Dept only found out about it as it was in place when we had Septic going in to improve the property. Again the land we purchased completely NOT developed. We own the land – we own the building and we now own the septic system and now the County is trying to dictate to us what we can and cannot do on our land. Our plan was to convert over time the building into a tiny home, my husband was in Construction for more than 25 years and knows what needs to be done. The county is now telling us we cannot go to OUR land on weekends to camp – only camping allowed is once a year and it HAS to be 30 consecutive days – otherwise we had better have Building Permits in place and be “In Construction” with a house (not a portable building) if we have this underway than and only than can we move an RV up to OUR property and live in it while we construct a dwelling. We need help – in Arizona, can you offer any assistance? TOTAL REGRET putting $30,000 into this town and county.